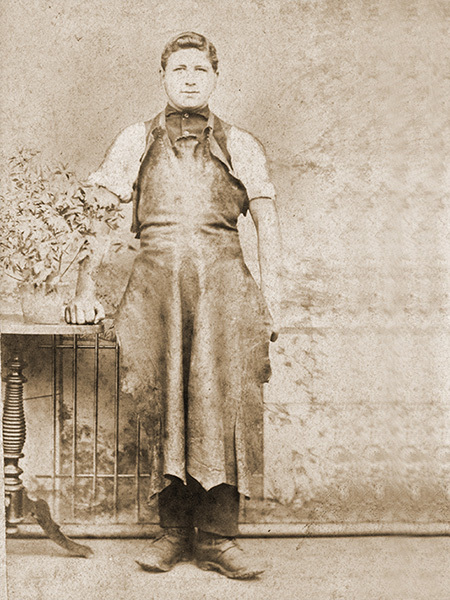 At the age of 23, Arnold Vetter – blacksmith – founded the company "Eisenkonstruktions-Werkstätte Arnold Vetter" in 1889. 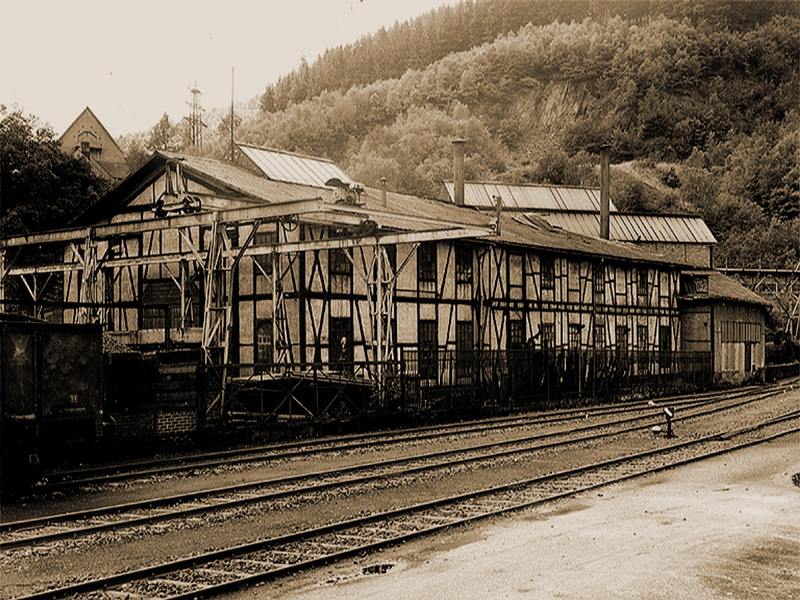 He started with repair works of miner's tools for the ore mine "Eisenerzgrube Eisenzecher Zug", his former employer. 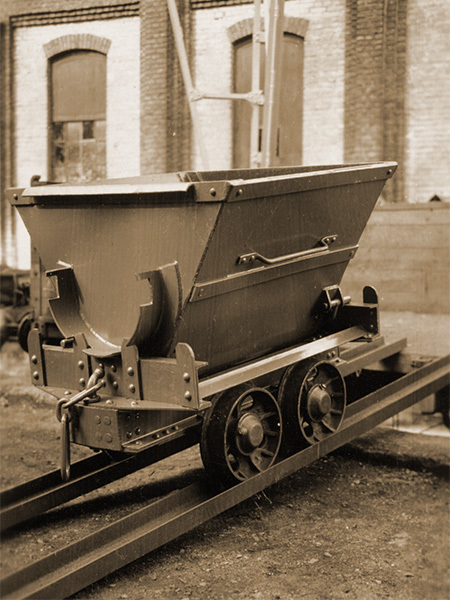 The company finally had its breakthrough when inventing the tipping wagon which had been manufactured 48,000 times until 1931. 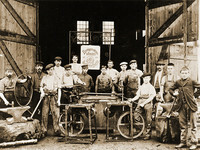 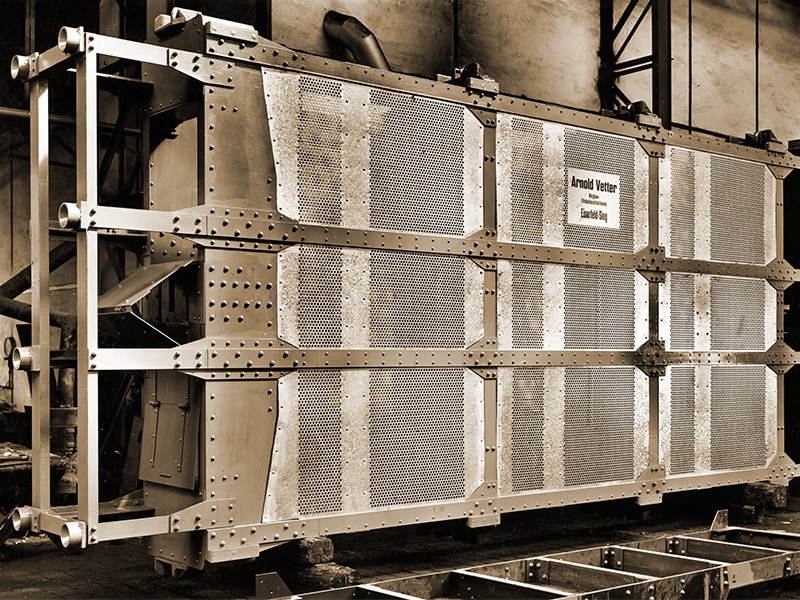 Arnold Vetter became established as a supplier for the flourishing mining and steel industry. 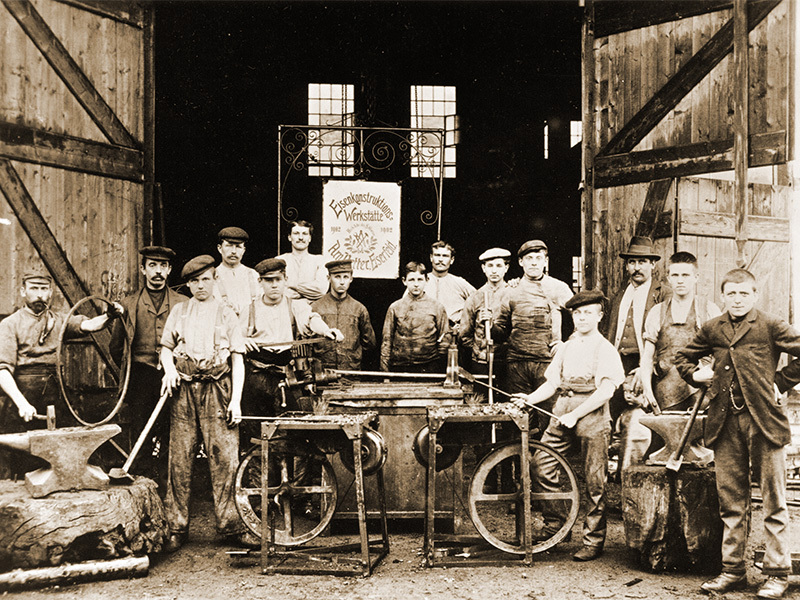 Up to 80 workers were employed in peak times. 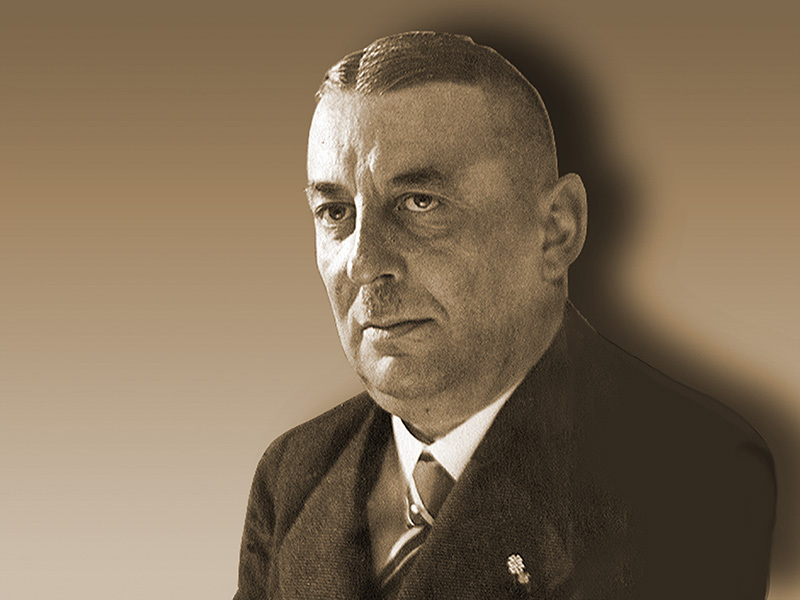 After Arnold Vetter had died in 1933, his oldest son, Albert Vetter (engineer), took over the management. 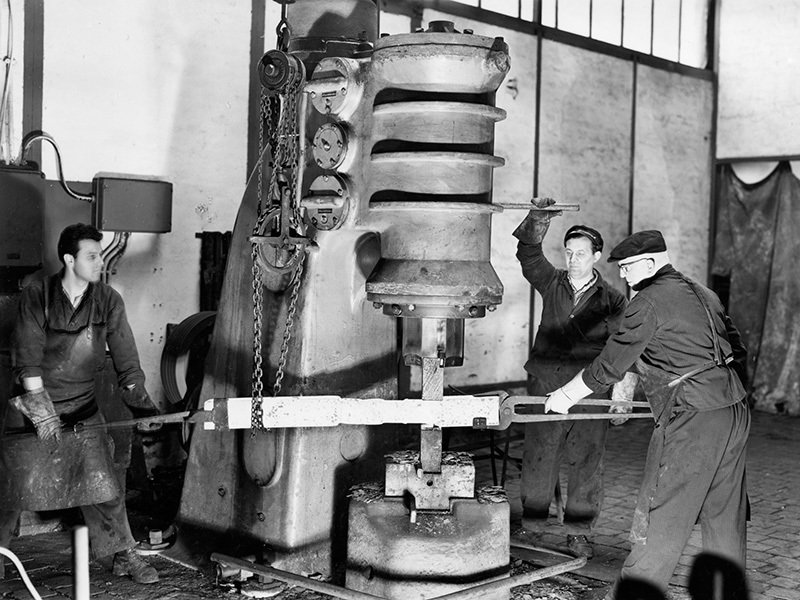 He committed himself to specializing the company in the production of shaft hoisting equipment in ore and coal mining, in particular conveyor cages, conveyor buckets, and sinking buckets. 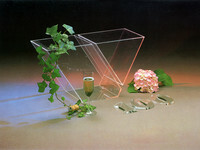 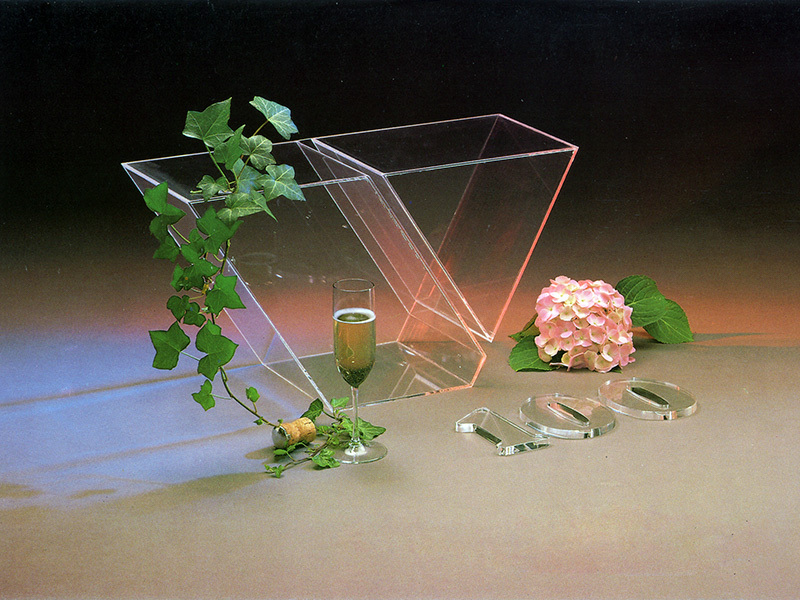 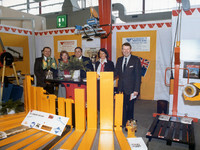 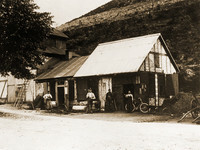 The products were delivered to the entire European mining industry. 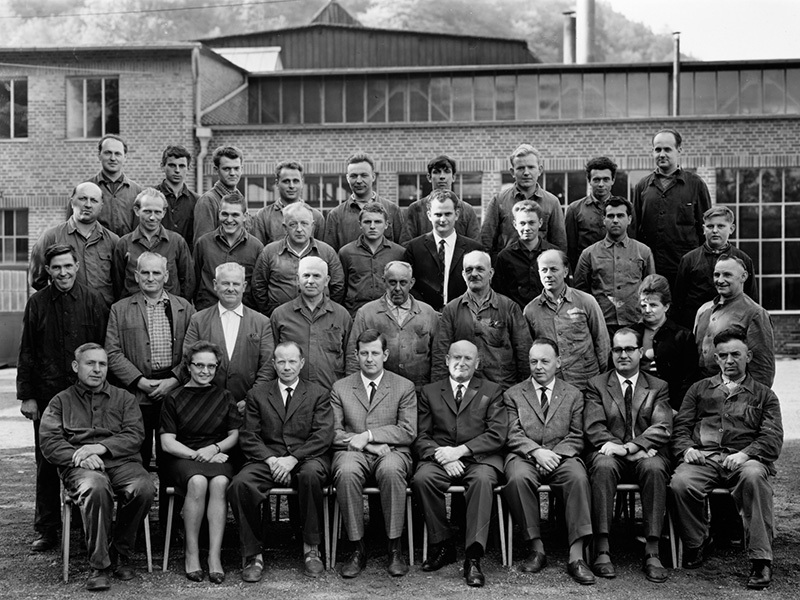 Thanks to the high degree of specialization and excellent quality, the VETTER Company had a good reputation in the mining industry. 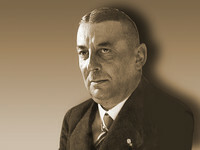 Albert Vetter died in 1962. 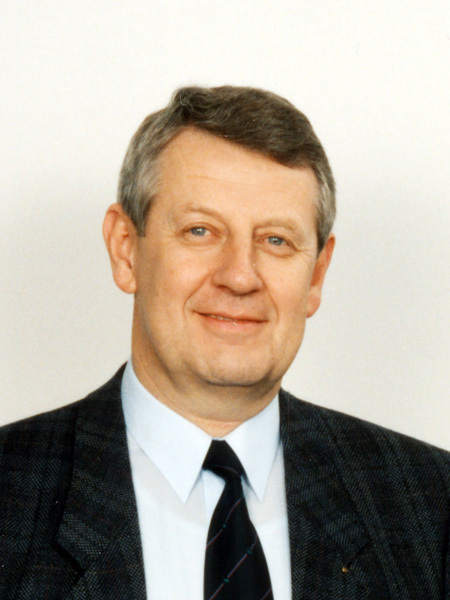 At the age of 23, Klaus Th. 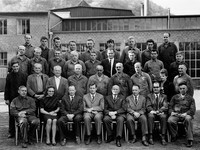 Vetter took over the management of the Arnold Vetter KG in 1962. 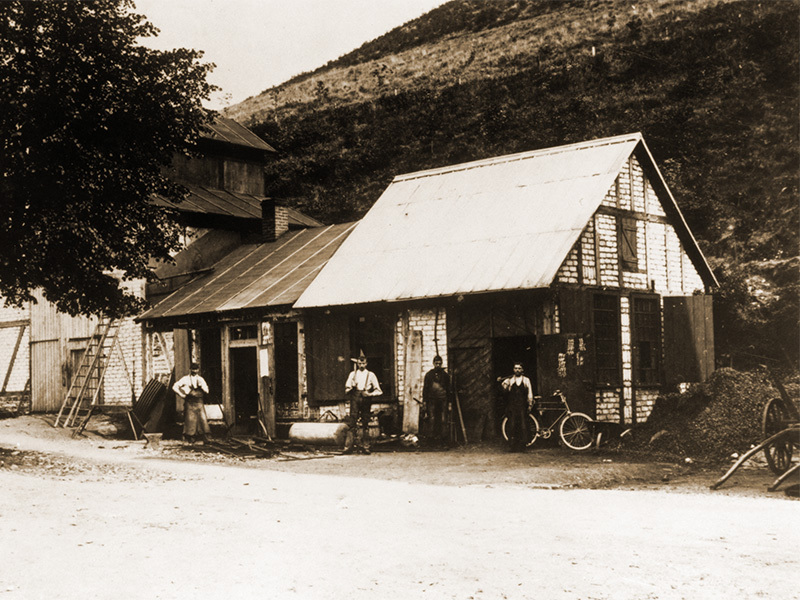 Due to the beginning of the mining crisis, he was forced to invent new products and to place them on the market. 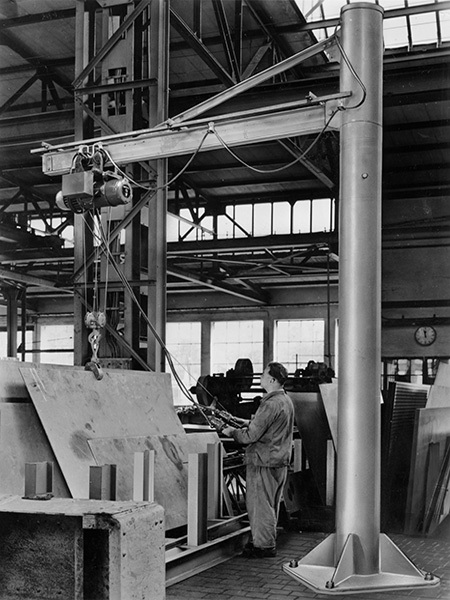 Already in 1964, the first slewing jib cranes were manufactured for the processing industry and forks for the fork lift truck industry. 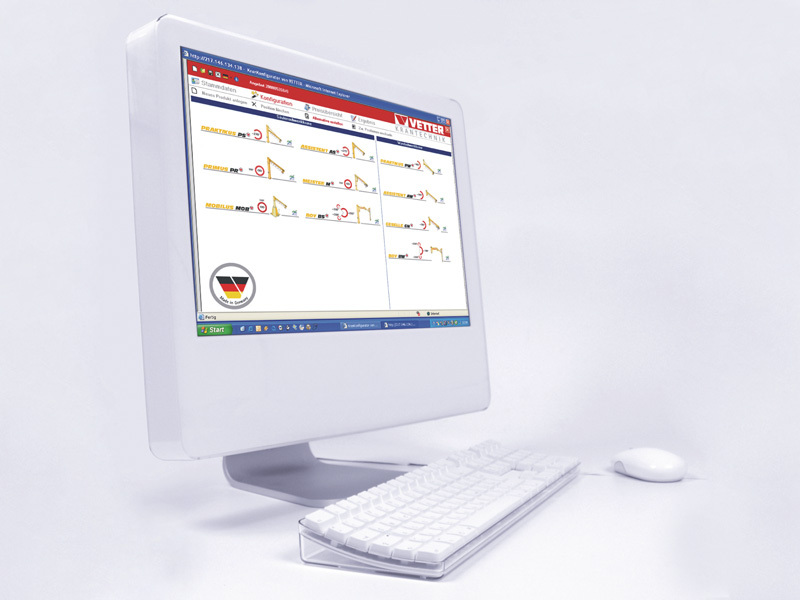 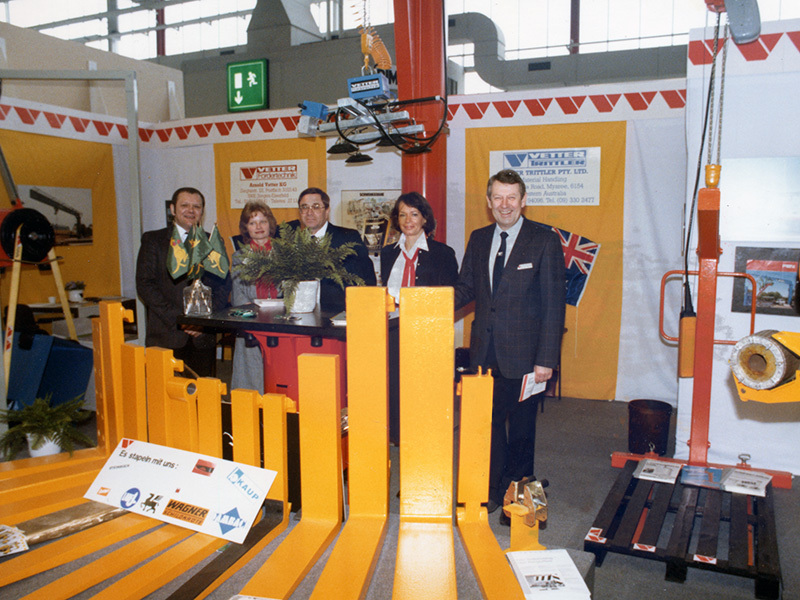 After being faced with great difficulties first, the company was finally successful in the beginning of the 70s and as from the beginning of the 80s VETTER was a renowned manufacturer of slewing jib cranes and fork arms in the European market. 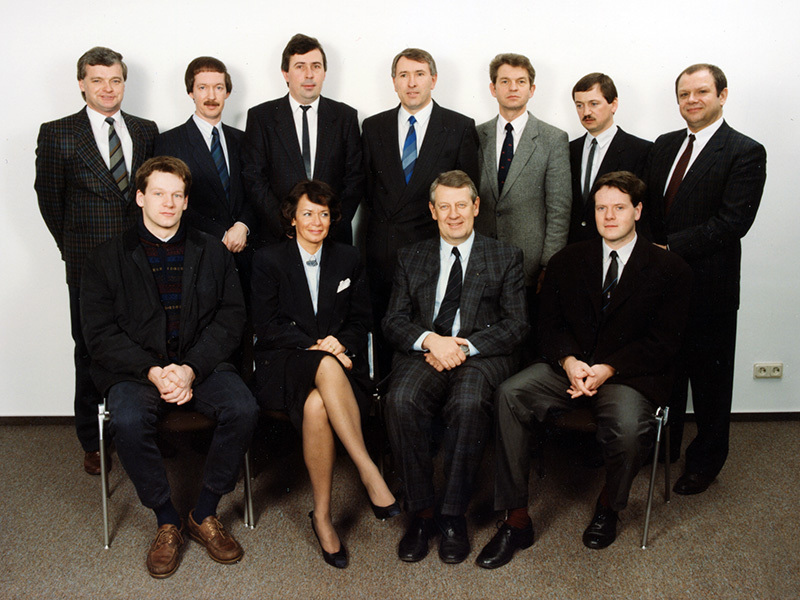 The German reunification in 1989 brought a very fast development for the VETTER group of companies. 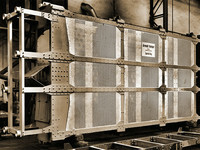 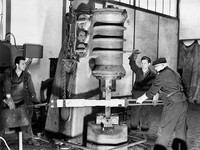 The capacities of the old main factory in Siegen-Eiserfeld were not sufficient anymore and this was why the company decided to relocate the fork production to a new site. In 1990, the first stage of construction was finished in Burbach (district Siegen-Wittgenstein / Germany) including corresponding office building. 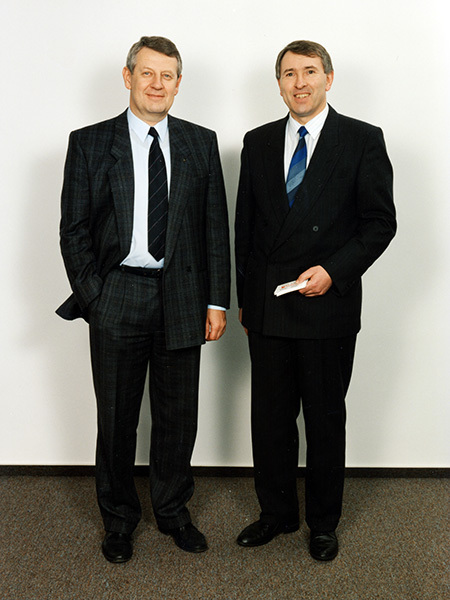 Arnold Vetter was the 4th generation to join the company in1991; together with his father Klaus Th. 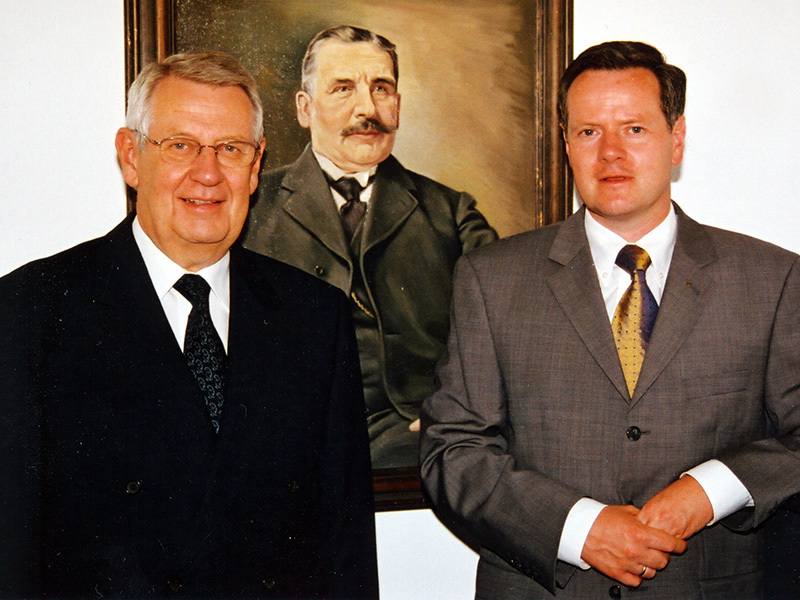 Vetter he contributed significantly to the company's growth. 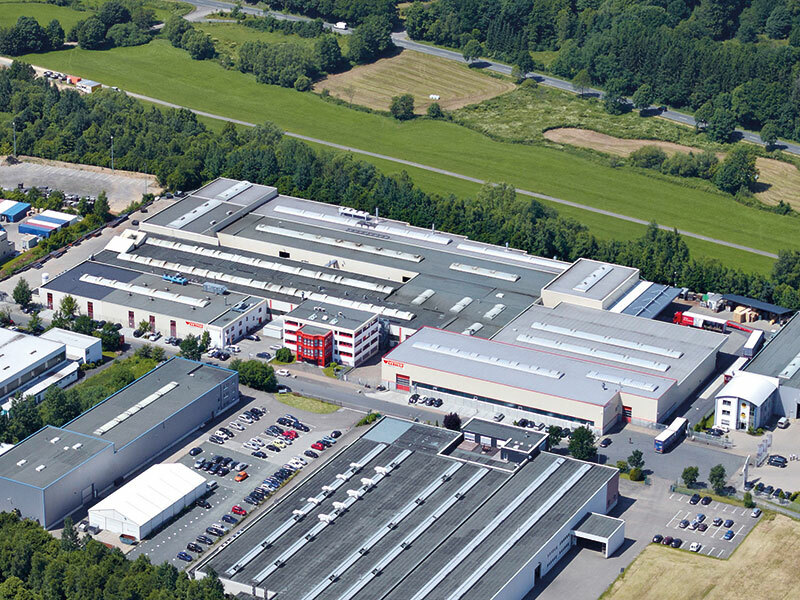 Due to the prosperous development, the company was split into VETTER Krantechnik GmbH, VETTER Kranservice GmbH, and VETTER Industrie GmbH (formerly known as VETTER Umformtechnik GmbH) under the roof of the Arnold Vetter KG in the same year. 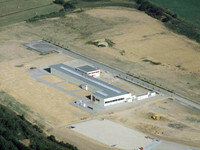 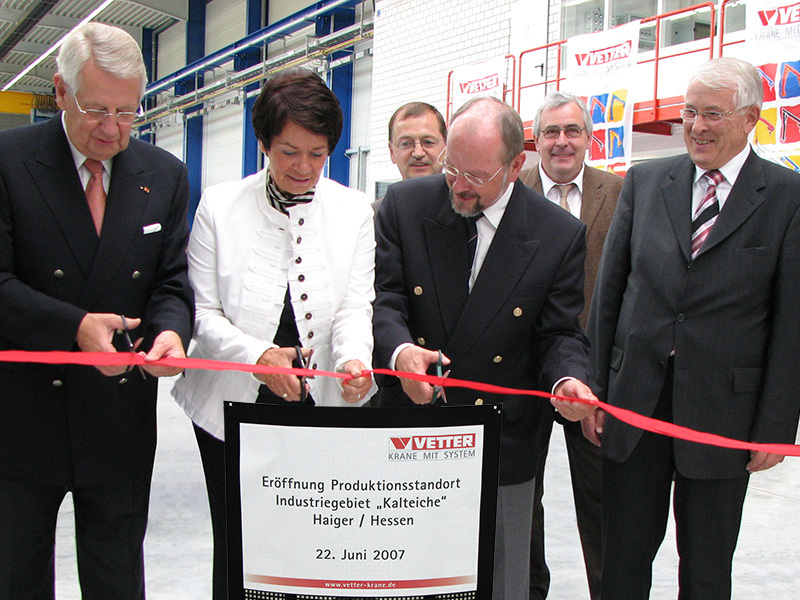 In the following years, the VETTER Industrie GmbH factory in Burbach was extended in several construction stages to become the most modern fork factory in Europe. 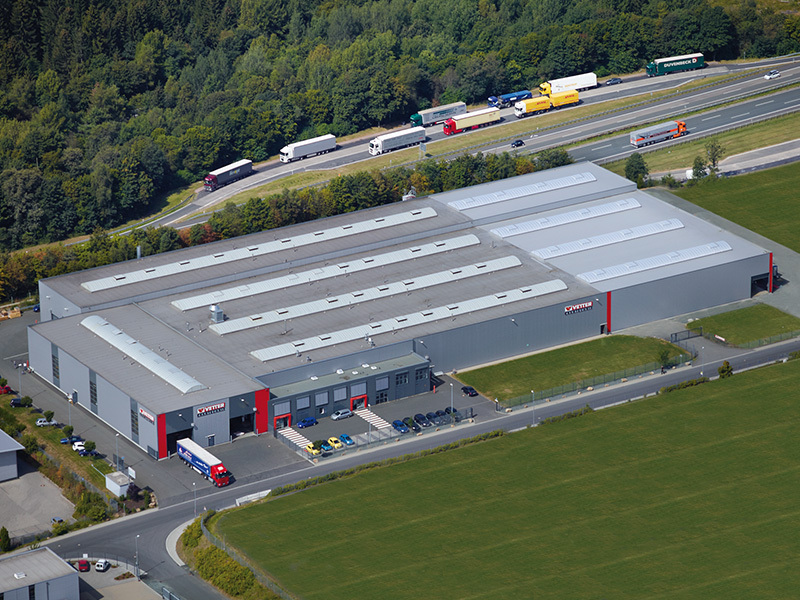 In 2007, the company started to relocate the VETTER Krantechnik factory from Siegen-Eiserfeld to Haiger / Germany which is located close to the motorway A45. 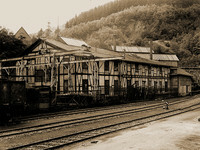 The most modern slewing jib crane factory in Europe was erected in this central place in several construction stages. 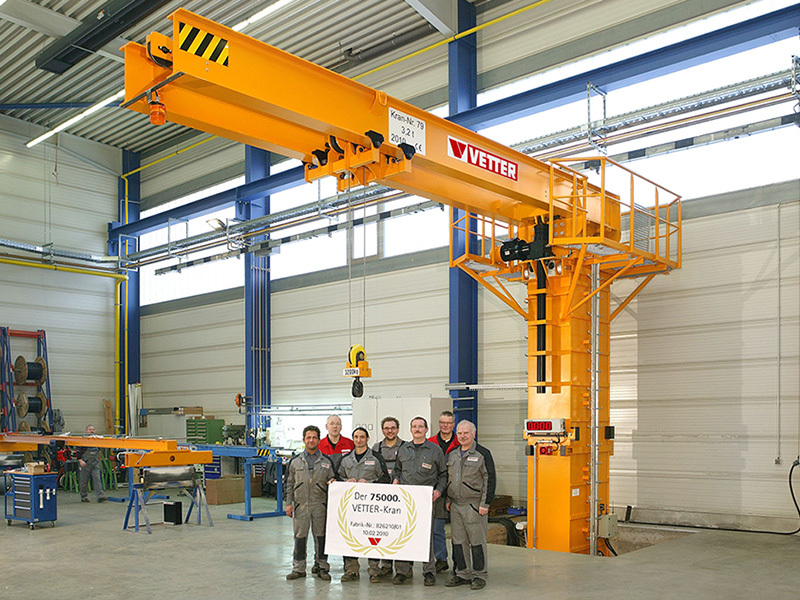 The VETTER group of companies looks back on a successful growth and is one of the leading supplier of crane systems and fork arms in Europe and in the world.